Perhaps it’s the warm multi-tracked instrumentation – marimbas, clarinets, strings, female voices – that does it. Or maybe there is something innately comforting in the repetitive pulse that this music delivers. But, whatever it is, this is music that shines light on the nature of music as a form itself. Here, it’s revealed to be more than the sum of its parts and linked to more than just what is catchy, or what is complicated and daring. Perhaps it’s in its simplicity where the real treasures lie.With music this spare, it’s important to remember that it comes out of a rich synthesis of musical interest and experience on the part of its composer. 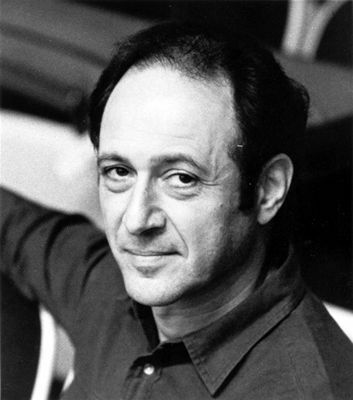 Steve Reich has a varied background as a composer and instrumentalist, pulling from his experience as a jazz drummer, and as a student of classical composition under the auspices of many academic institutions, including the Julliard School of Music, Cornell University, and Mills College of Music under composer Darius Milhaud. Also, his interest in African music brought him to the continent by 1970, where he studied drumming in Ghana. He also studied Hebrew chanting traditions (cantillation) in New York City and in Jerusalem, a link to his own Jewish heritage. All of these experiences went into informing his approach to rhythm, and to his interest in deconstructing the dubious divisions that stand between rhythm, melody, and tone. And with his ‘Musicians’ ensemble, his interest in the essence of how various elements of music converge helped him to create a number of compositions, with Music For 18 Musicians possibly being his most universally celebrated. The work focuses on a group of 11 chords, and uses phasing to draw out the harmonic, and most importantly the rhythmic, possibilities in each. The impact this had on the development of ambient music is incalcuable, recognized in formal composition circles, as well as on ambient dance music scenes, the best example of which may be Britain’s The Orb, who sampled sections of Music For 18 Musicians on their hit single “Little Fluffy Clouds”. Further, the Reich Remixed tribute album featured acts including DJ Spooky, Mantronik, and the London Symphony Orchestra. And this doesn’t even touch on the music of Tortoise, and Boards of Canada, the work of both being almost impossible to imagine without the groundwork which was laid down by Steve Reich. Reich’s approach, and early use of sampling, phasing, and studio manipulation was well ahead of its time. But, it’s the warmth to be found in the results that really makes his work remarkable. For more information, including a list of works, biography, and lists of accolades across several musical streams, check out SteveReich.com. And for more music, be sure to visit Steve Reich on MySpace.